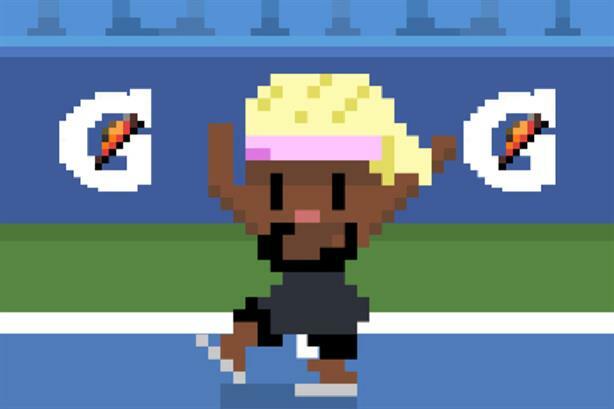 As Williams goes for her 23rd Grand Slam title at the US Open, the sports drink and TBWA\Chiat\Day revisit her career in 8-bit format. Brands are still looking for the best ways to engage users on Snapchat, and Gatorade has a new one: an 8-bit video game contained entirely within an ad unit. 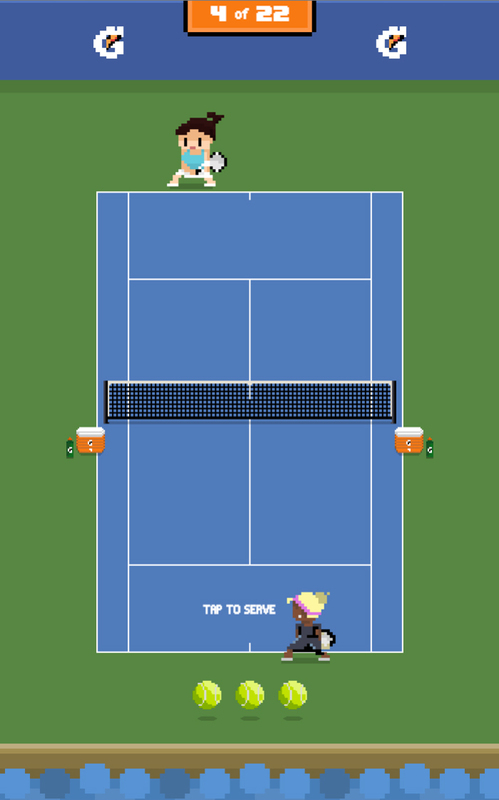 Yesterday, Gatorade revealed a simple multi-level game called "Serena Match Point" that honors Serena Williams’ 17-year career. Kenny Mitchell, head of consumer engagement for Gatorade, claims it’s the first game to appear within a Snapchat ad, calling it a "first-of-its-kind game." "As the platform is ramping up their measurement and targeting capabilities, we felt that it was a great way to reach an audience that is already tuning into live updates of major sporting events such as the US Open," said Mitchell. In "Serena Match Point," players rally as the all-star tennis pro in 22 levels, each one representing one of William’s 22 Grand Slam titles. The levels recreate various aspects of the matches including the clothes and hairstyles she was sporting at the time. Gatorade partnered with TBWA\Chiat\Day LA and Ludomade, a digital gaming firm, to create the simple but addictive game. "Match Point" can be accessed online and on ESPN’s Snapchat Discover channel. Labeled as an ad, the game pops up after a few news stories. Going into the final Grand Slam of the 2016 U.S. Open, Williams’ has the opportunity to make history by winning her 23rd Grand Slam title. Right now, the champion is tied with Steffi Graff for most Grand Slam titles. "Serena Williams is a long-time member of the Gatorade family on the verge of an unparalleled career milestone," says Mitchell, "so we thought this would be a fun way to celebrate that with consumers." If Williams wins on September 10, the day of the Women’s Final, Gatorade will unlock Level 23 of the game, commemorating her victory. This is not the first time Gatorade has experimented on Snapchat. For this year’s Super Bowl, the brand created the "Gatorade Dunk Lens." In a GIF, Williams gets virtually drenched by a tube of Gatorade. With this Snapchat campaign, Mitchell says the brand saw a "record-setting performance in terms of engagement and lifts in key equity metrics. We expect to continue to see high performance with interactive ads, especially on Snapchat."